Your cat assumed this game was about them, anyway. Want to play a game with your cat? Just kidding. Your cat has better things to do. 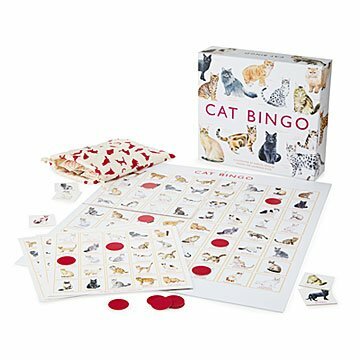 But this fantastic feline bingo set is the next best thing. Instead of numbers and letters, there are cards illustrated with 64 different cat breeds, familiar and exotic, ranging from sleek Siamese to athletic Abyssinians to proud Persians and beyond. Take your chance with one of 12 bingo cards, using the colorful counters to mark your spots as each breed is called out. It"s educational and fun for cat lovers of all ages. Made in China.